Tattoo Blog » Metal Tattoo Artist. Tattoo Blog » News » Metal Tattoo Artist. Being multi-talented seems to be a vocation for thrash metal drummer Jürgen “Ventor” Reil. 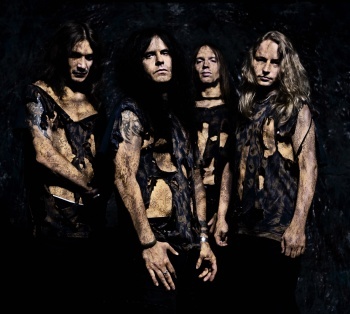 Not only is he the drummer for the veteran metal band KREATOR, but he has recently opened his own tattoo studio in Essen, Germany under the name Carnap Ink Corporation. To be honest, Reil has some real chops on both the drums and the tattoo machine. As can plainly be seen here. Tattooing and all forms of Metal have gone hand in hand from the get go, and seeing Some of the work Jürgen is doing in his shop only solidifies the connection. Able to do everything from intricate tribal designs to some killer new school, it would seem that Jürgen will not be tied to any one medium for expressing himself. While not having any plans at the moment to leave his position with the band, Jürgen is more than a little excited with his new venture, and putting as much of himself into his art as he does into his music.